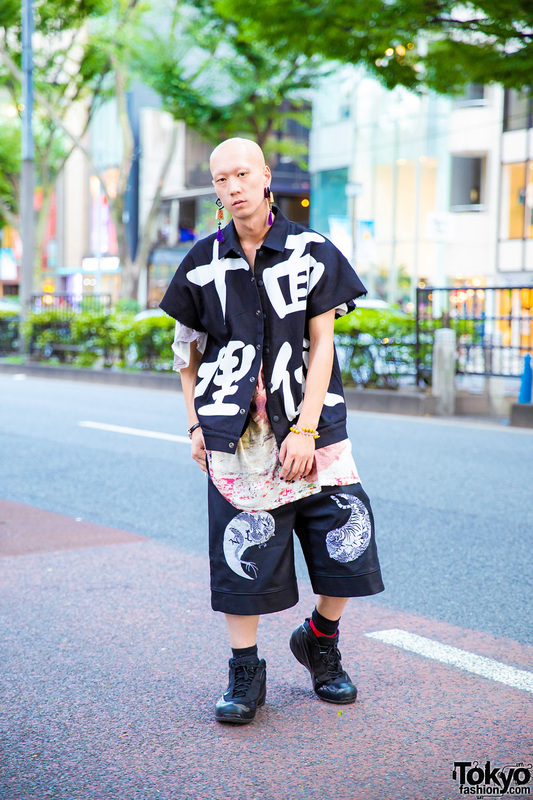 We came across Shouta, the 26-year-old model and musician who is a popular face on the Harajuku streetwear scene. This time around, Shouta is dressed in a a black button down shirt with white kanji prints and distressed sleeves from Depression, worn over a colorful printed shirt from Nozomi Ishiguro. 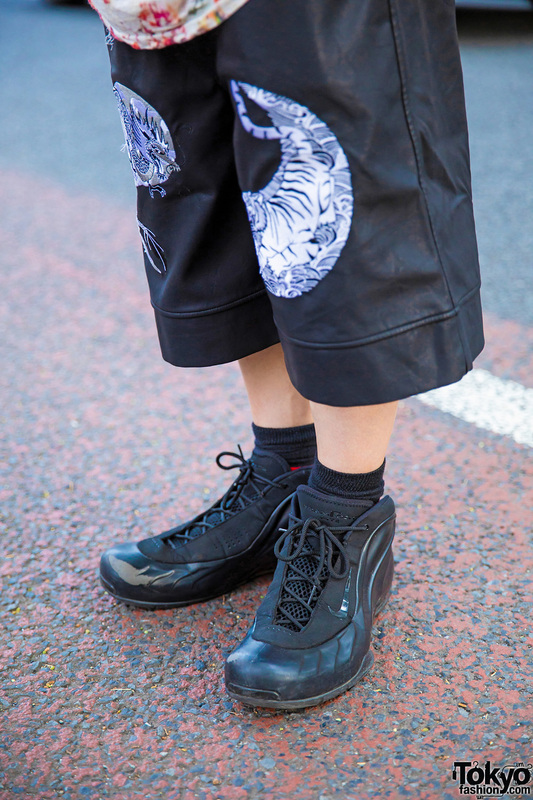 He wore long black tailored shorts with white yin-yang tiger and dragon prints – also from Depression – donned layered red and black socks, and slipped into black sneakers from Nike. 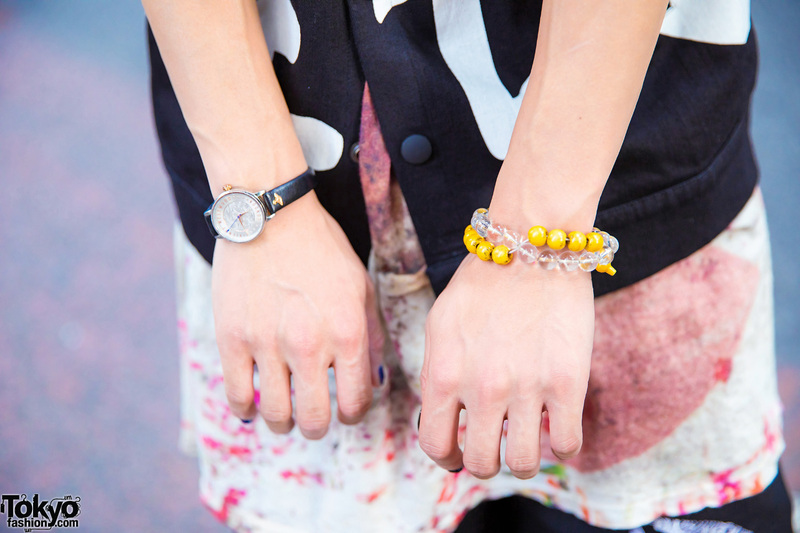 Accessories – mostly from Vivienne Westwood – include purple hoop earrings, mahjong tile earrings with purple tassels, yellow and clear bead bracelets, and a black leather strap watch. Shouta’s favorite fashion brand is Japanese streetwear label, Yohji Yamamoto, and he likes listening to rock tunes. 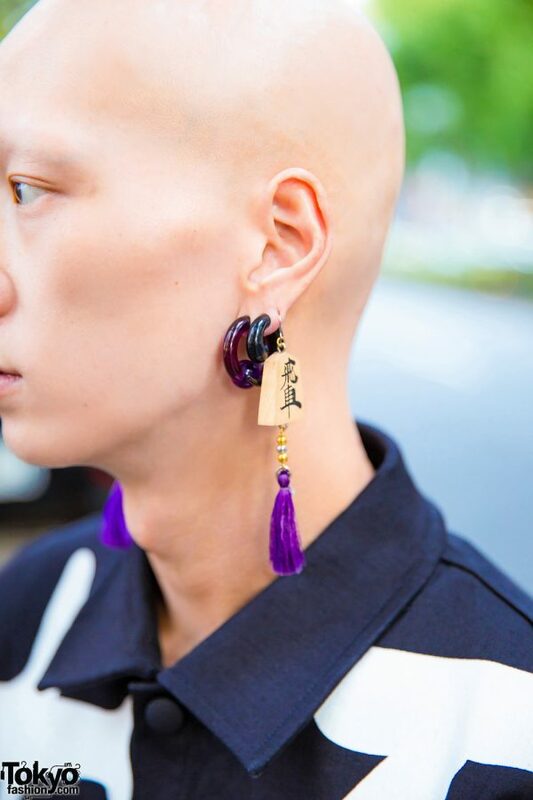 For more of his stylish looks and social media updates, follow Shouta on Twitter and Instagram.